I also found kits to make these angels. So last weekend Little Miss and I made them. and the result is very pretty. They use beads, wire and safety pins. I have finally created a tutorial for these lovely angels! Find it here. Your little angels are just so sweet! they are very cute, and I didn;t see the safety pins at first look. what a clever idea. These are very sweet…would be lovely on the tree. BTW – thanks for the little tip above about the no reply. I'm off to check my settings now. These are really cute! I love your Angels. Stopped by from your SU group. These angels are just lovely. They look like a fun project too! Thanks for sharing at the Boardwalk Bragfest! They are so pretty! The would look lovely on the tree, with lights twinkling around them. That is so cute. Thanks for sharing Tuesday Tell All. I love the Christmas angels. I do not see where you say how to make them. Is there a place where I can see the directions or do you sell the directions? This is my first time on your site. I’m working on this tutorial at the moment so I’ll let you know when it is published. 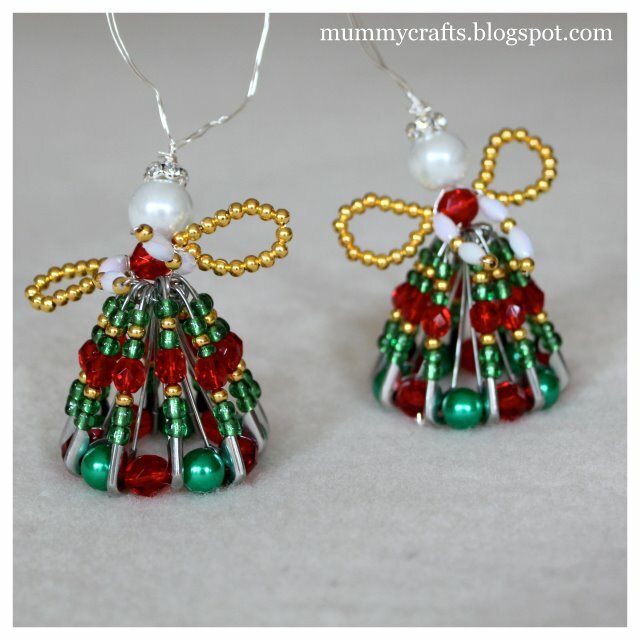 I also would LOVE the instructions to make these cute beaded angels. I have made the beaded wreaths in the past and soon will be making the beaded Christmas stars. I would also like instructions for the Christmas bracelet. I hope to have them published before next week. Would like Materials qty list for Beaded Angel and some sort of instructions. 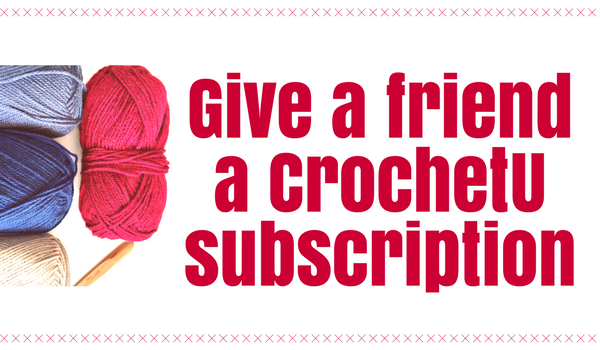 Thanks for asking – this tutorial is on my list to create this week so stay tuned! 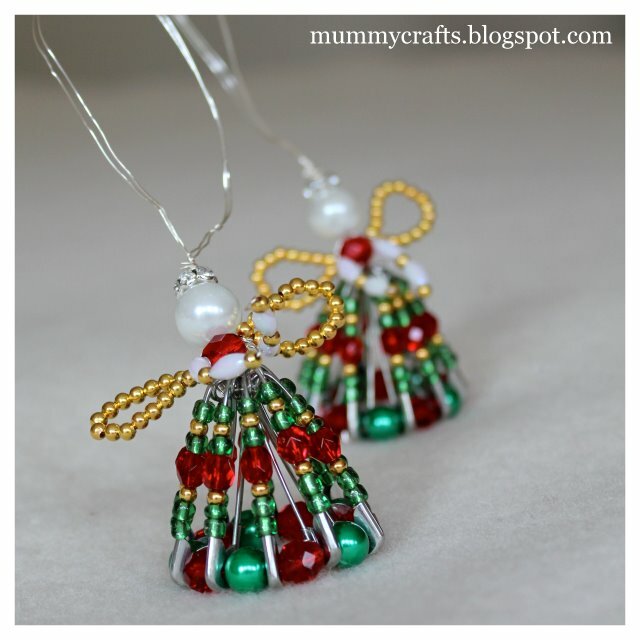 I love anything with beads for Christmas also safety pin beaded ornaments and baskets.I need patterns for everything.I am disabled and pass my time making crafts.Thanks for the patterns, Judy…..